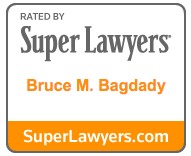 Bruce Bagdady is a Shareholder and leads the firm's Labor & Employment practice group. He has focused his career on representing a diverse group of employers in the areas of employment and labor law. Bruce has considerable experience in representing employers in litigation matters (including class and collective actions). He has worked extensively with claims alleging violations of the FMLA, FLSA, ADA, ADEA, Michigan Persons with Disabilities Act and the Elliott-Larsen Civil Rights Act, as well as wrongful discharge, harassment, whistleblower, non-compete and retaliation claims. Bruce also devotes much of his practice to the representation of employers in traditional labor law matters including collective bargaining, election matters, grievance processing, arbitration and unfair labor practices. He represents employers before various administrative agencies including the National Labor Relations Board, the Michigan Employment Relations Commission, the U.S. Department of Labor, the Michigan Department of Civil Rights, the Equal Employment Opportunity Commission and the Michigan Unemployment Insurance Agency. Furthermore, he serves as a presenter and guest lecturer for clients and organizations on numerous topics.